The training season for DBD3 is officially under way! We begin by going "only" as far as Woodside, but we've got a somewhat hilly route to get there. We'll start by visiting the quarry in Los Altos Hills and climbing Elena Road behind Foothill College. Then it's a familiar route through the Arastradero nature preserve, around the backside of the Portola loop, and into Woodside for our rest stop. After that, we'll head partway up Cañada Road and then take Jefferson Avenue back to the valley floor -- which, incidentally, involves a 0.7-mile climb before we can descend. We close with an easy route along Alameda de las Pulgas, Junipero Serra Blvd., and Foothill Expressway back into Mountain View. Strava reports about 2,250 feet of climbing for this ride. Meet your fellow DBD3 riders, or learn about the event and decide whether it's for you, or just come hang with us on the road for a few hours ... any way you slice it, we'd love to have you with us! Our regular training rides will begin in late July, but here's a pre-season get-together that isn't too easy and isn't too tough. But because DBD has plenty of climbing, yes, we'll do a bit of climbing, but none of it stupidly steep. Our first climb will be Magdalena Avenue in Los Altos Hills, all the way to the top. Then we'll take a gentle spin through Cupertino and do a quick loop up into the Parker Ranch area. After a rest stop in Saratoga, we'll go up Highway 9 as far as Pierce Road before one last climb and our easy return to Mountain View. Total climbing on this ride is about 1,800 feet. 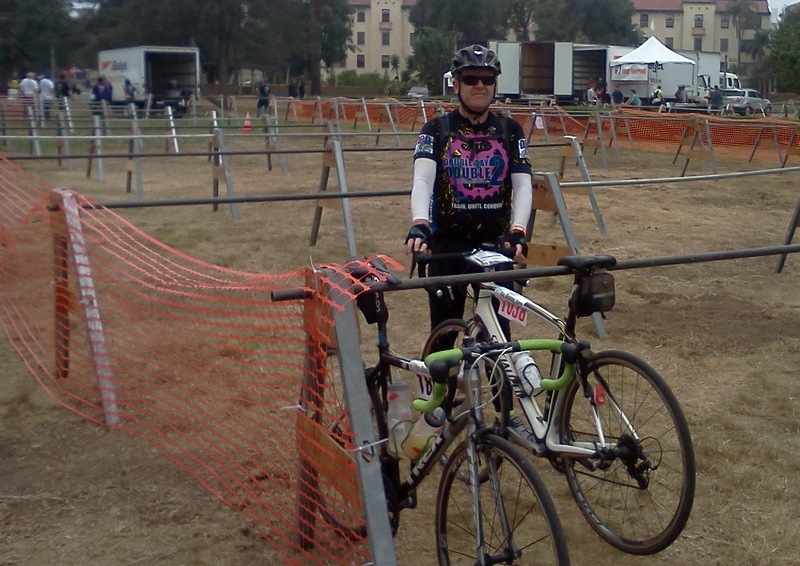 Our ride-out time is late enough that you can take Caltrain to get here in time for the start. All by myself (again) at the VA Center in Los Angeles. It's probably not much of a surprise that, yet again, my ALC experience differed significantly from what I expected. The short answer: I completed every mile (and then some) for the seventh time, not all of those miles were easy, I set no daily speed records, and I mostly avoided getting grumpy. This year, I'm not going to do a detailed day-by-day, mile-by-mile description of what happened. You've heard it all already. Except where noted, the route was essentially the same as before. Rather, here are some random observations from my week on the road. First, the numbers: Here is my in-motion average pace for every day of every ALC that I've done. Significantly, I set no records this year. However, my elapsed time on several days was better because I took fewer and shorter stops. 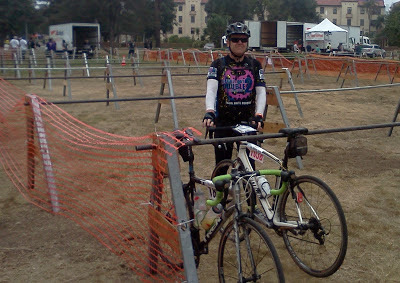 I was among the first 100 finishers on six out of the seven days, even though many other riders were much faster than me. Speed demon? 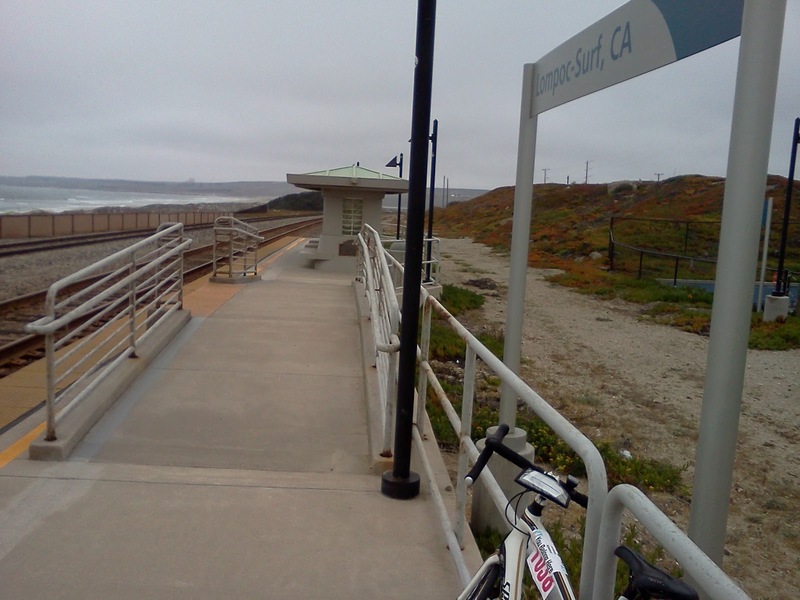 Despite my slower overall pace, I blasted right through my previous top speed ever on a bicycle -- apparently reaching 39.7 mph briefly on Day 4 in the dunes such of Oceano. But more significantly, there were countless times during the week when I exceeded 30 mph, which is highly unusual for me. This could mean that I've finally become a little more comfortable with descending ... at least on familiar, straight roads. Way off the official route. Bad me, bad. Renegade: For the first time, I (sort of) broke the event rules on Day 5 and went off-route. 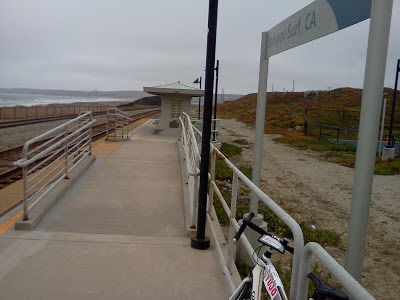 When I reached Lompoc early in the day, I didn't want to wait around for hours until my hotel room became available, so I decided to do one of my favorite short rides in the area: the ride out to the coast and the remote Amtrak station at Surf. I did my best to make sure that nobody saw me make the turn off the official route, but in the perfectly flat terrain, I'm sure some riders saw the silhouette of a strange solitary rider going the wrong way toward the coast. I greatly enjoyed this part of the week for several reasons: It was nice to not have to worry about other riders for a while, it took me to one of my favorite places on the Central Coast, and it helped build my confidence in being able to ride every mile. I was a little worried about whether there would be any official consequences for my renegade ride; such fears were probably quite overblown on my part, but I'll admit to a sigh of relief the next morning when there wasn't a violation ticket attached to my bike. Leg: At lunch on Day 3 in Bradley, I visited Sports Medicine for some attention on my right leg, which had started to bother me. I got some tape put on my leg (although it came off within the first five miles and had to be reapplied later that night in Paso Robles), and I got additional tape at camp in Ventura. The pain in my leg was starting to scare me, and I took most of the hills very gingerly the rest of the week. (This probably accounts for most of my speed differential between this year and last year.) I don't regret getting the attention, and although it was a first for me to get taped up, my problems paled in comparison to those of many other riders ... and in the end, I felt a bit silly for using event resources for what turned out to be a very minor matter. Teams and cool kids: In past years, I've experienced frustration, anger, and depression over the strong presence of "teams" of riders on the event. This year, however, they didn't really bother me at all. The big reason, I believe, is that most of the teams I saw were much more well-behaved on the road than in previous years. Only once all week was I passed on the right by another cyclist (who, yes, was part of a pack of matching jerseys). Backwards winds: More than in any other year that I can remember, the winds were not favorable. On Day 2, we had headwinds heading out of Salinas (where, last year, strong tailwinds helped me get through the rain), and on Day 3, the final 12 miles into Paso Robles were much more difficult than usual due to very strong headwinds that drove my pace way down for the day. On most other days, the usual tailwinds were not as strong as in the past. 21st century intrudes: It's a sad fact of life in the 21st century that security paranoia (some would say security theater) is a part of our lives. 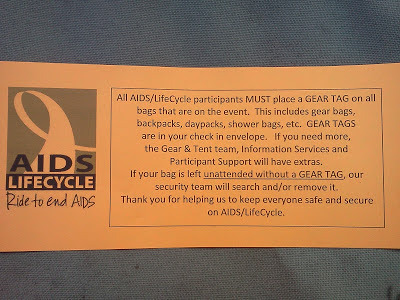 This showed itself on Day 0, when we were told of the new rule that all bags and packs on the event -- including hydration packs -- required an additional identification tag. And it showed up again on Day 6, when the route was temporarily shut down after a pressure cooker was found by the side of the route. (I'd gone through before this happened, and I didn't see it.) I can't fault the event staff one bit for the heightened security consciousness, but it's still sad that such things are now part of everyday life, and it makes it harder to forget about the outside world while on the event. News blackout and social media: In my early years of ALC before I had a smartphone, it was an amazing experience to go the entire week basically without hearing news of the outside world. But when Facebook started to become part of everyone's lives, it was very nice to be able to follow other riders online during the event, and to share one's status both with those riders and with friends and supporters elsewhere. But one big problem of using Facebook during the event is that news from the outside world invariably seeps into one's news feed. When the revelations of NSA domestic surveillance came out, I quickly knew about them, and I spent much of my evening reading more about them, even though I knew that doing so would upset me about the state of the world and take my focus away from the event. One of the magical things of ALC is the ability to get away from everything, but our increasing use of social media on the event seems to make that more difficult if not impossible. Solitude: Nobody ever claims that ALC is a good opportunity to experience solitude. But because of my riding style of quick/skipped rest stops, I often managed to get the road mostly to myself. That was especially true on Day 7 this year, when I rode the 40 miles from Rest Stop 1 straight through to the end, making me the sixth person to finish the ride. My early morning ride along the undeveloped coast before Mailbu, with nobody around me and before all the packs of local cyclists hit the road, was my highlight of the week. But the cost of getting such an experience during ALC is very high: Skipping rest stops and riding hard are not for everyone, and doing so means that you don't get to experience the rolling party. This, of course, is usually quite fine by me. Lorri Lee Lown on duty at the Otter Pop Stop on Day 2. The Strava effect: Again this year, I took almost no photos during the ride. Before I started using Strava, I'd often take "photo breaks" which usually were more about having a quick rest than capturing any scenery. But the result is that, now, I end up with very few photographic memories of my week. I'm not sure I need another set of photos of the same things I've seen so many times before (just how many pictures does one need of the fog on Skyline Drive on Day 1? ), but it's definitely the case that using Strava stokes my self-competitive fires, perhaps in a way that's not entirely appropriate on an event such as ALC. The Day 6 fustercluck: For those of us who ride at even just a moderate pace, Day 6 is really two completely separate rides: the 25-mile sprint to Rest Stop 2, a long rest of an hour or more, and the rest of the day. This is because we can't proceed past Rest Stop 2 until 9 a.m., when Caltrans clears a lane for us over a narrow bridge on U.S. 101. Invariably, Caltrans is late in finishing their work, so we all bunch up in the rest stop and wait ... this year, until 9:20. This causes, in essence, a second mass start -- much like the Day 1 ride-out -- with packs of riders immediately entering the dangerous freeway and continuing in large groups all the way to lunch in Santa Barbara. That part of the ride has become my least favorite part of the week, and it's always a challenge for me to improve my mood to complete the rest of this difficult day without getting overly grumpy. After so many years, one would think that Caltrans would know exactly what we need and when we need it. Here's hoping this situation can be improved in the years to come. Dazed and confused? Toward the end of the week, I became almost exclusively focused on finishing the ride, and finishing strong. I probably rode harder than I should have done, and I got a big wake-up call on Day 6 that I might have taken things a bit too far. While riding on the bike path through Santa Barbara, I reached a traffic signal where a roadie was standing. He looked at me and said, "Do you know where you are?" I replied, "Yes, about to have my ice cream" (at Paradise Pit), which was the correct response. But I was probably in such a trance that I might have looked a bit out of it. Lots of fun. I stopped to take off my jacket (and this pic). "How do you feel?" "I do not understand the question." And this gets right to the heart of my ALC experiences. Every year, I say that I'm going to have more fun on the event. But the definition of "fun" is quite fluid and nebulous. For many, "fun" on ALC means enjoying the rest stops and roadside attractions that so many volunteers have worked so hard to create, riding together with friends, and simply being part of the mass experience. But for me, the most fun I usually have consists of overcoming personal challenges and having plenty of solitary "me" time to ponder life, the universe, and everything, while knowing that more than 500 people are there to support me in case something goes awry. On the days that I deliberately rode out a bit late to be among more riders, I quickly found myself getting frustrated, and I overexerted myself to get back closer to the front of the group. Perhaps it's time to stop expecting that I'd have any other type of "fun" on the event. One thing, however, has not changed since my pre-ride report: I'm still fairly certain that I will not be riding in ALC 2014, although I still encourage others to do so if that is what's right for them. 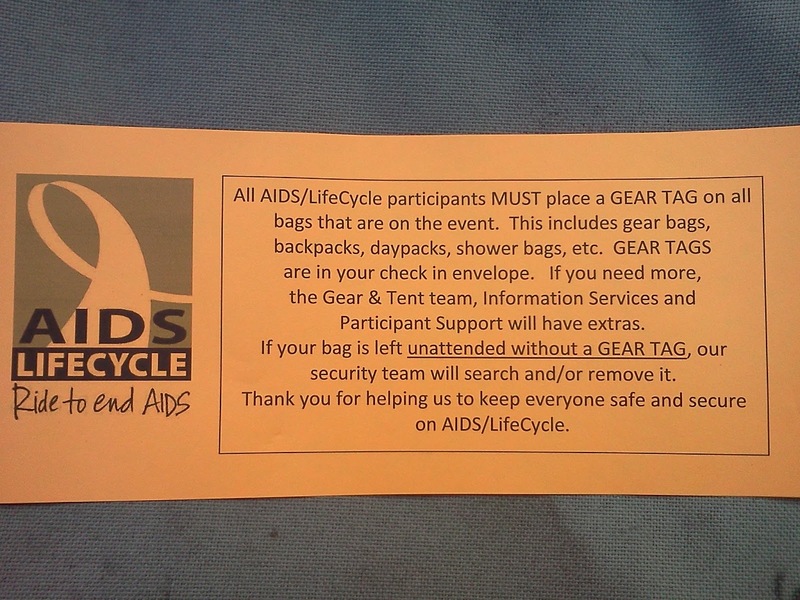 Beyond the millions of dollars and our strong visual statement, AIDS/LifeCycle is a transformative event for many. And many of those transformations do not manifest themselves until after the event, sometimes long after. The week gives us an opportunity to get away from our everyday existences and reflect on how we're living our lives. Quite often, we decide that one or more changes are necessary. I think that's the case for me again this year. In the meantime, though, it's full speed ahead with Double Bay Double 3. For the third year, I'll be producing this ride for DSSF to benefit the San Francisco AIDS Foundation, and I'd be honored to have you as part of it. As of today, the ride is already more than 40% full; the limit is 50 riders because life is too short for me to worry about permits. This two-day, 210-mile event captures some of the magic that makes ALC great, but it does so in a much smaller, more intimate event where everybody gets to know pretty much everybody else. Although we still follow ALC safety rules, the other aspects of the event are generally far more informal and collegial. Last year, we raised more than $20,000 for SFAF, and I hope to easily surpass that this year. Be sure to sign up early because, this year, the ride is the same weekend as the Monterey Jazz Festival, so you'll need to book your hotel room in Marina very soon. Beyond that, what's next? Damn good question.